Also the mod normally should have the proper perf already. Good result for me in the testers free practice. Hopefully the pace can continue on in the race cars and put us in a good position to finally get our first race win. > tendonitis and calcification in the shoulder. > eight days of rest. Good to have another top 10 - if only just! What the fook happend there with scr? Ah okay. I didn’t realise the perf was already installed in the mod. In that case I should be good to go. Someone remind me of the qualifying and race distances again please? > > Use the trackpack! > and race distances again please? Okay an update. The white boxes are gone but I can't seem to shake off the original TV Overlays behind the GPGSL graphics. I can turn them off in the options menu on the game but it doesn't then let me save the changes to get rid of the overlays. Quali length is 30mins, even if you set it longer it shouldn't be an issue since gpxset limits the number of laps a driver has. Race length 100%, the track in the trackpack is properly set up regarding lap count equaling roughly 40mins of racing. Try unticking the overlay box in the vanilla game, should carry the settings over. Haha cool! Thanks! Right trackback installed. Everything seems to be working fine. I still have all the white boxes all over the screen and the original overlays will not disappear. I tried booting into the vanilla game and turning them off but it won't let me save and then they reappear when I launch through CSM. 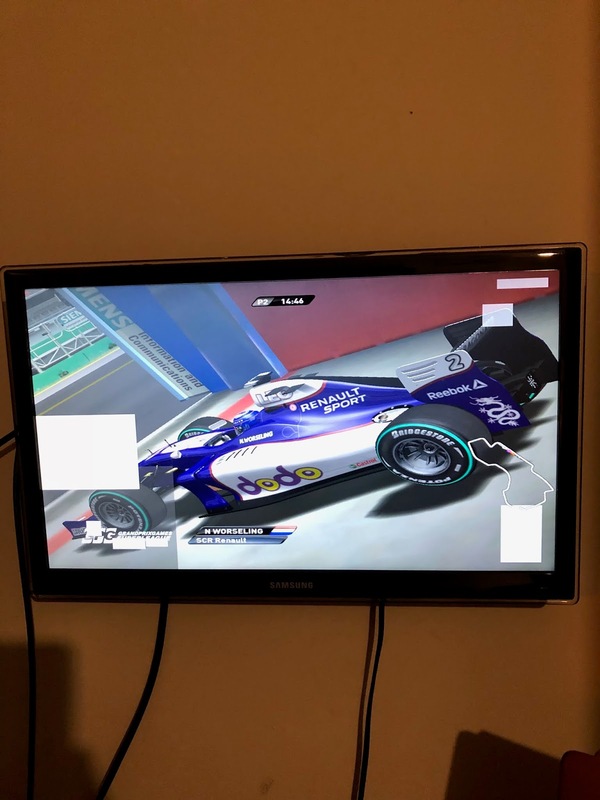 Try editing the f1graphics then. Set the first line to 1, the ones for TV overlay and trackmap to 0. Thanks for all the help guys. Got that sorted, booted it all up to start recording and now CSM won't open. I'm gonna jack it in for tonight. If I can't get anywhere tomorrow I'll hand RD duties over to somebody else and forget the whole sorry episode ever happened. I want to help, I really do, but I'm having so many issues here I can't afford the time to solve them all. I really do appreciate the hard work that all the RD people put in, especially if it's this hard. I'll update you guys in the morning. Okay so...we are good to go. I’ve run the quali and race a number of times to check it works and completely reinstalled GP4 and CSM. With any luck I’ll run the race on Friday or Saturday and try and have the video up by next weekend. Trying to install gp4 on my new laptop, utterly hilarious how fast it did it. Gone are the days of making a sandwich and waiting!